It's a well known fact that Four Corners is a hilly place, but how hilly is it? Topographical map of four Corners from the USGS. I wish the map didn't cut off part of Woodmoor ,but that's just where the line between each frame happens to be. For those who do not know, Roger Berliner came to speak to the WPCA last night about transit and development issues in the county. Aside from being a representative of District 1, Mr. Berliner is also the Chair of the Transportation, Infrastructure, Energy, and Environment Committee. He was speaking to Woodmoor residents in his capacity as Chairman of the Montgomery County Transportation Committee at the meeting. I was unable to attend the meeting because I am at college, but my father was present and he took very good notes, so I know what was said. I spoke to him on the phone after the meeting, and the news I received disappointed me. I felt embarrassed to call Woodmoor and Four Corners my home. 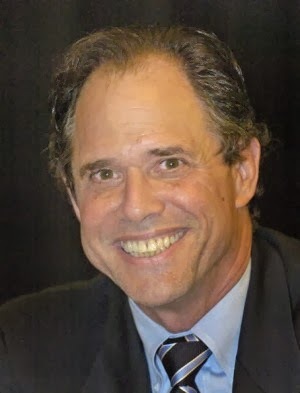 The Honorable Roger Berliner, County Councilmember will be the guest speaker at the February 24th WPCA neighborhood meeting. Councilmember Berliner chairs the Council’s Transportation, Infrastructure, Energy and Environment Committee and was the Council’s leading advocate for the recently approved BRT Master Plan. Berliner also serves as Vice Chair of the Metropolitan Washington Council of Governments (COG) where he also chairs COG’s Energy and Environmental Policy Committee. Among the topics to be discussed are the impact studies to be done for Colesville Rd and University Blvd, the appointment of Citizens’ Advisory Committees for each proposed BRT route, utility infrastructure projects in our area, the Silver Spring Transit Center and the proposed White Oak Development Master Plan. Be sure to join your neighbors for this very important and informative meeting. This was rescheduled from January due to weather. Refreshments served. The meeting will be at 7:30 PM in the Pinecrest Rec Center, 301 Saint Lawrence Drive, Four Corners MD, 20901. Did you know there used to be a social club along University Boulevard in the woods of Sligo Creek Park? I didn't, until I recently found out about this through a comment thread in the Woodmoor/4 Corners Facebook group. The club was in the area just west of the intersection of University Boulevard and Sligo Creek Parkway. The area is east of the current-day University Towers and south of Kemp Mill Shopping Center. 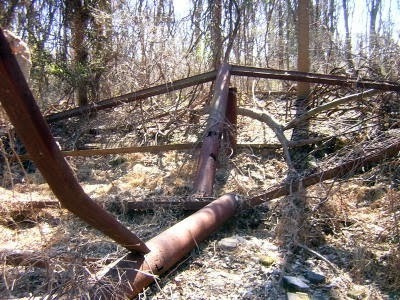 Ruins of the club in 2006. Photo by Friends of Sligo Creek. Indian Spring and other neighborhoods south of the Beltway have long had a certain level of dis-connectivity from the rest of Four Corners. Currently, the Beltway provides a barrier between the neighborhoods and the intersection. Before that, it was the Indian Spring Country Club that separated the neighborhood from the rest of the community. Indian Spring, North Hills of Sligo, and Franklin Knolls lack any form of commercial establishment. Picking up some milk or a prescription requires getting in your car and travelling on the same roads as regional commuters. The traffic levels on Route 29 and University Boulevard make many residents prisoners in their own neighborhood at rush hour. It is possible to get to the commercial establishments at the intersection during peak times, but the time and hassle involved with doing so discourages many residents from patronizing local businesses. The Beltway is a barrier between Indian Spring and the rest of the community. Photo by the author. I recently came across these awesome images of Four Corners from 1963. I found these on the United States Geological Survey's website. The pictures were taken a U.S. Air Force plane on April 8th, 1963. The images show a broad area, spanning from Upper Northwest DC to Wheaton. I zoomed in on interesting spots around Four Corners and clipped the photos to make smaller, more detailed images. Enjoy! Overview of Four Corners. The Indian Spring Country Club (mostly intact) is at center. Notice how the portion of the Beltway east of University Blvd is still under construction. A while back I had lunch with Harriet Quinn, who serves on the Woodmoor-Pinecrest Citizens Association traffic committee. We discussed a multitude of topics pertaining to Four Corners, including Bus Rapid Transit (BRT). She brought up an idea that had not occurred to me regarding BRT: running the first BRT line down Route 29 and New Hampshire Avenue to Fort Totten. The more I thought about this idea, the more it made sense. It should be noted, however, that this is not too realistic given the current political climate. This line will have to cross through three jurisdictions and would likely encounter a lot of red tape. A Route 29 only BRT line would be much easier for the county to pull off as far as implementation and coordination with other agencies goes. It would also connect to Downtown Silver Spring and probably be less expensive. So bear that in mind as you read on. The BRT line on Route 29 is the highest priority line for the county. The reason it has become a priority is because the White Oak Master Plan process was accelerated by 3 years and in order for there to be additional transportation capacity on paper for the White Oak Master Plan, they have to have BRT routes on paper. The median of Route 29 from New Hampshire Avenue to Burtonsville was designed for a dedicated transit right-of-way, so BRT could be implemented easily in this corridor. This corridor is also important because of the proposed White Oak Science Gateway. The county wants to add thousands of new homes, businesses, and jobs to the area; creating a technology corridor similar to (but not as large as) those along I-270 and the Dulles Toll Road. Unfortunately, the section of Route 29 south of New Hampshire Avenue is a juggernaut. Most long time Four Corners residents already know this, but more recent residents may not. What is now Papa Johns Pizza is the former Silver Spring Volunteer Fire Department (SSVFD) Station 16. The modest 1 & 1/2 story brick building was constructed some time in 1947 to serve the growing Four Corners community. 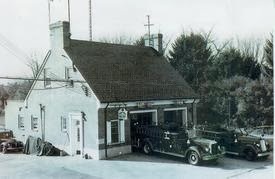 It was the SSVFD's first sub-station, with the primary station being in Downtown Silver Spring (the former Station 1, which is now a restaurant and bar). It was built as a home response station, meaning it had few or no living quarters. Back when Four Corners was a less built-up place, the volume of emergency calls was much lower than it is today. There didn't need to be personnel staffing the station at all times. When a fire call came in, the large "air raid" siren on top of the fire station would sound, alerting volunteers in the surrounding neighborhoods, who would then drive (or run) to the station and get on the fire engines. There were no paid staff at the station back then. The Maryland State Highway Administration is in the process of replacing the bridge deck of the University Boulevard bridge over the Capital Beltway. According to the SHA, the bridge was was built in 1958, and is in need of replacement. The 1958 date is interesting to me, since the stretch of the Beltway underneath the bridge did not open until late 1963, 5 years after the bridge was supposedly built. Anyways, the current project started last summer and is planned for completion in Fall of 2015, weather permitting. I have noticed that not much has been done to the bridge in the last couple months, so I emailed the SHA Community Liaison to ask what was going on. Looking east on University Blvd over the bridge. These cones and barrels have been in place since the summer. Photo by the author.